After a year of not playing football, Joe Sidaras will put the pads back on at a new college. The former William Floyd and Hofstra quarterback will play tight end at Wagner. He was on the team at Hofstra when it was disbanded in December 2009 and his scholarship was honored, so he stuck around the Hempstead, N.Y. campus for the academic side of things. The 6-foot-4 stud accepted a full scholarship to Wagner. At Floyd, he was 22-0 his final two years with the Colonials and won two straight Long Island titles. He still has two full years of eligibility left. He might be injured and out of the season, but Hofstra alum and Bronx native Willie Colon is one of only two Long Island representatives headed to the Super Bowl next week in Dallas. 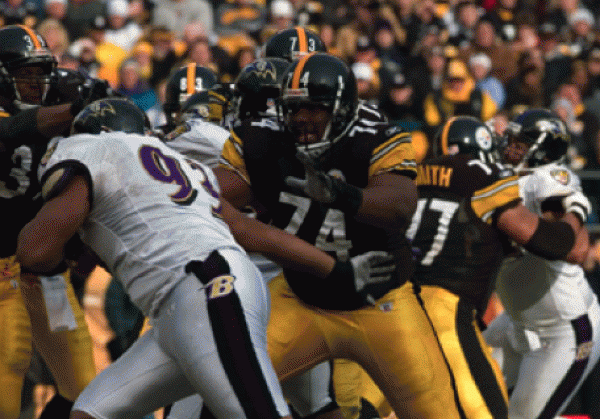 The Steelers tackle is in his fifth year in the NFL and was a member of the Pittsburgh team that won Super Bowl XLIII. Andrew Quarless, who played at Uniondale and Penn State, is a rookie tight end with the Packers.